Skiing fanatics who are also technies will appreciate the The Buhel Speakgoggle G33 Intercom. 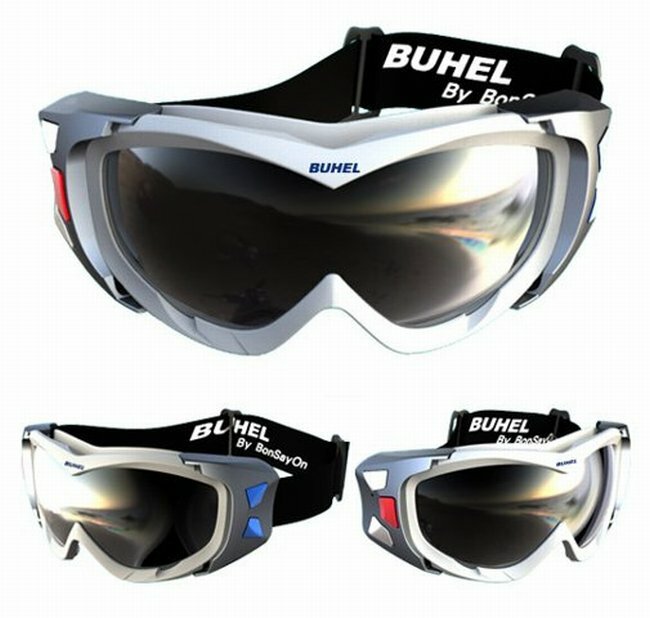 These unique googles combine the basic job of protecting the eyes from the bright sunlight reflected off snow as well as the cold wind with the uses of a mobile phone. Particularly, it acts as a hands-free kit for the phone while the wearer is enjoying the sport. To make this possible, it uses of Bluetooth to enable the device to communicate with the mobile phone, or even other devices such as music players or other gadgets with Bluetooth. To provide input, the user pushes buttons on the side of the goggle which may control playback or enable him or her to answer phone calls via a special microphone that senses vibrations made by facial muscles and bones. An added feature of the device is that it is also able to communicate with other Speakgoggles using intercom communications for up to 500 meters or 1,640 feet away. There is a limit of 6 goggles for this feature, however. This device eliminates the hassle of getting tangled in wires or holding other devices and is thus particularly useful for those who like to be entertained or remain connected while skiing.